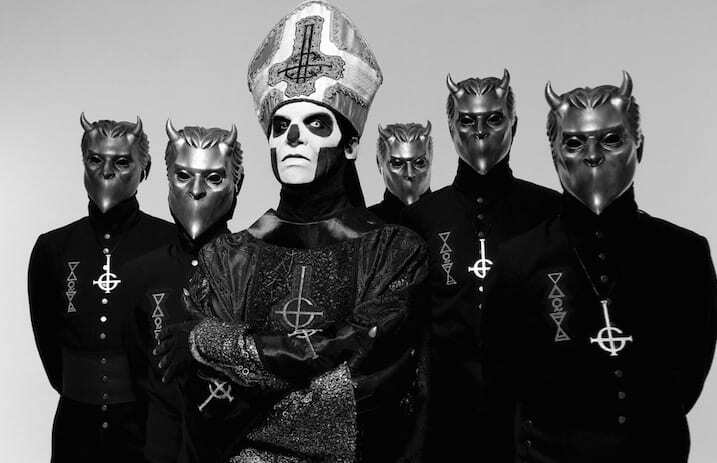 The lawsuit among former members of Ghost and the band's singer, Papa Emeritus, is apparently gaining steam. On Thursday, a reported founding member of the band issued a public statement about the case on Facebook. In doing so, he revealed the identities of certain past Ghost members. Read it below. The Facebook statement comes from Simon Söderberg, who says he was Alpha, the band's lead guitarist from 2010 until 2016. The other three Ghouls are identified as Mauro Rubino (Air, member since 2011), Henrik Palm (Ether, member since 2015) and Martin Hjertstedt (Earth, member since 2014). The Nameless Ghouls now touring with Ghost are said to be new members.